If you think e-mail Marketing is dead, think again. It was only declared dead with the explosion of social media. In fact, a recent survey for the 2015 State Of Small Business Report revealed that 46% of small businesses use e-mail marketing as a top marketing tactic. Not only is it very much alive, it’s still one of the most effective marketing techniques. According to the Direct Marketing Marketing Association, it offers an ROI of around 4,3000%. Research also shows that 70% of consumers prefer e-mail marketing as a form of communication with companies. It’s also 3x more effective than social media at promoting purchases. Investing in e-mail marketing – which in itself is not a large investment – is worthwhile. E-mail marketing is an essential tool for customer communication and business growth. If you’re a Weebly user currently using e-mail marketing, you can benefit from the insights offered here. And if you’re not currently using e-mail marketing, hopefully, this post has already provided you with the encouragement to consider devising an e-mail marketing strategy to drive customer engagement and growth for your small business. Before we get into how you can take your e-mail marketing to the next level with Weebly Promote, what exactly is Weebly Promote? Simply put, Weebly Promote is an integrated e-mail marketing service that allows you – the Weebly user- to send out e-mails to your subscribers. It’s currently a separate paid service, where you create a mailing list within Weebly, design the e-mail, and send. You do however have access to many of the templates and designs that you’re used to using in the Weebly website builder. Add custom HTML through activating the embed code element. Include a map that shows store locations by activating the map element and pinning your store. Build your e-mail list by importing contacts (via CSV) from Yahoo, G-mail or Mailchimp. 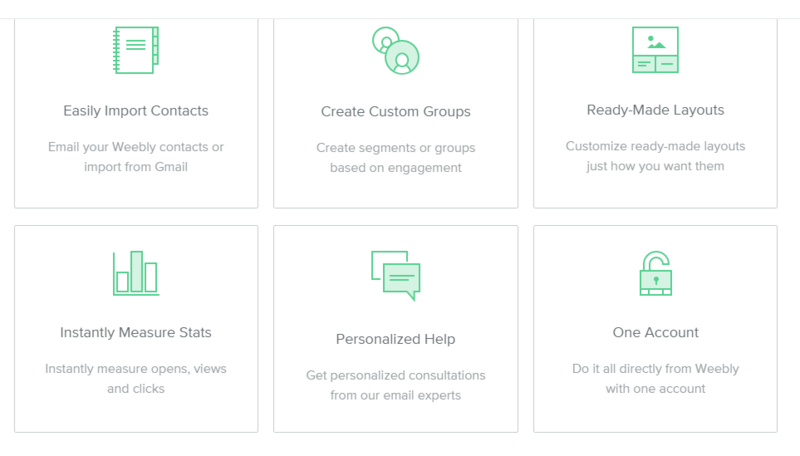 Segment your customer groups after you’ve built your e-mail list. Customize existing ready-made layouts. Weebly offers templates for different e-mail types e.g. newsletter, promotions, product announcements, and events. Like a specific template? Save time, by saving it future use and make customizations to it as required. Preview your e-mail or send a test e-mail before you send it to pick up any mistakes. Schedule e-mail at a later time. Measure your stats e.g. open rates. Have any questions? Personalized help is available from the Weebly e-mail experts. All e-mails you send are mobile optimized. This is imperative if you consider that people open 55% of e-mails via their mobile devices. 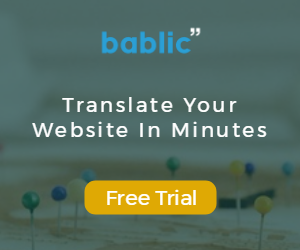 A free trial that gives you 2 e-mail campaigns, to 500 recipients, with a quota of 1000 e-mails. Build Plan that gives you 5 e-mail campaigns to 500 recipients, with a quota of 2500 e-mails. Price is $8/month. Grow Plan that gives you 20 e-mail campaigns to 2500 recipients, with a quota of 50 000 e-mails. Price is $25/month. An Accelerate Plan that provides you with unlimited e-mail campaigns to unlimited recipients, with a quota of 250 000 e-mails. Price is $75/month. For a small business, I would recommend the Build or Grow plan. Now knowing what you know about Weebly Promote, now let’s look at a few tips to help you get the most out of Weebly Promote and take your e-mail marketing to the next level. No matter how well written your e-mail is or how “cool” the content is, it doesn’t help if the subject line or headline falls flat. With a catchy subject-line, you’ve won well more than half the battle. This is particularly important if you consider how many e-mail people receive on a daily basis. If you have a headline that falls flat, expect it to disappear in the plethora of e-mails. Here are a few quick tips to help you write catchy and enticing e-mail headlines. Keep it short and sweet (50 characters or less). E-mails get cut off if too long particularly on mobile. This then is crucial is you consider that most e-mails are opened on mobile. Use a familiar, personable “sender from” e-mail address. [email protected] does not work! Start with action verbs – this encourages click-throughs. Make it personal e.g. address readers as you e.g. e.g. You don’t know what you’ve missed. Take it further and ask specific questions that tap into the buyer persona of the individual e.g. Are you making these A/B testing mistakes? Use numbers – where applicable- in your subject lines – this is e-mail marketing best practice and improves click-throughs. To add an image to your e-mail with Weebly Promote, you need to activate the Add Image Element. I stole the below photo directly from the Weebly Help Center. You’re also able to add a gallery of images; particularly useful if you’re advertising and promoting several products. People do after all shop with their eyes. Once you’ve started building your e-mail list through your sign-up forms on your site, it’s time to start segmenting your list according to certain characteristic’s, such as interest and response. Make use of a feature known as Smart Groups. 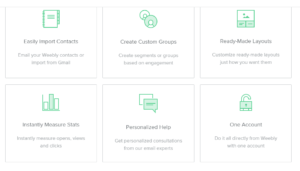 With Smart Groups you can target according to people who’ve made purchases from your store, people who have membership access, and people who’ve contacted you via a contact form on your site. The more specific you get with your targeting, the higher your potential sales. Please take note this feature is currently only available for the Accelerate and Grow plans. By sharing your e-mail pitches on social media channels you present additional opportunities to not only grow your e-mail list but spark additional interest in your products and services. 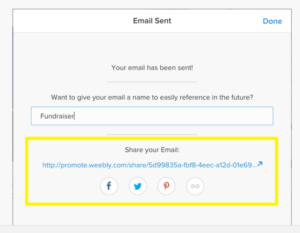 Weebly promote provides this function across Facebook, Twitter, and Pinterest, as soon as you’ve sent your e-mail. E-mail marketing then is still very much alive. As a Weebly user, there are four plans available with Weebly Promote. Why not test it out with the free trial and then choose a plan that’s most suitable to you. Then take your e-mail marketing to the next level, by focusing on writing compelling subject lines, including catchy images, segmenting your mail list, and finally sharing across social media channels for additional exposure. Do you use Weebly promote? What techniques do you use to take your e-mail marketing to the next level?